This collection marks the Alexander Wang's 2nd Anniversary as the creative director for Balenciaga. Comparing his own brand to this one, you can definitely see his modern and creative muse intertwine with the classic Balenciaga look. With this set, Wang has definitely took the fact that this is a resort collection into his stride. 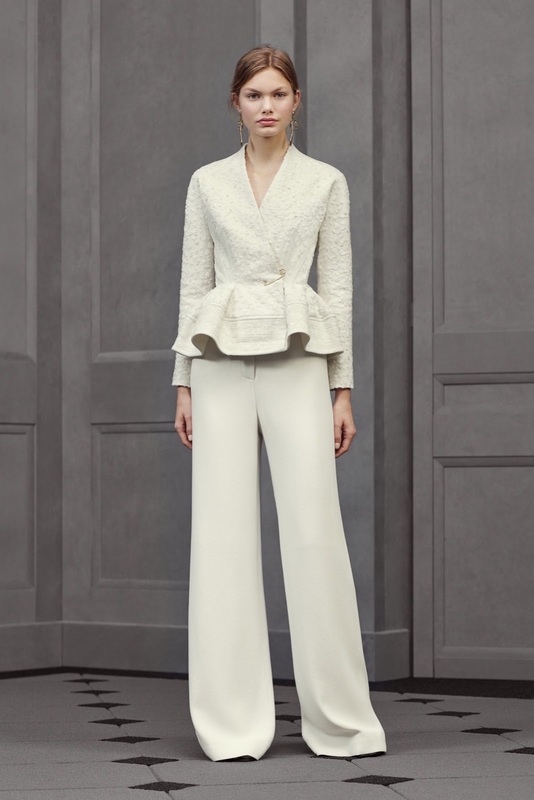 It features many summer looks, complimented with autumn/winter appropriate looks, which some designers do sometimes forget when releasing a resort collection. This is by far one of my favourite Balenciaga collections. The monochrome theme throughout gives an empowering, yet feminine, feel alongside a luxurious feel given by the beautiful fabrics. 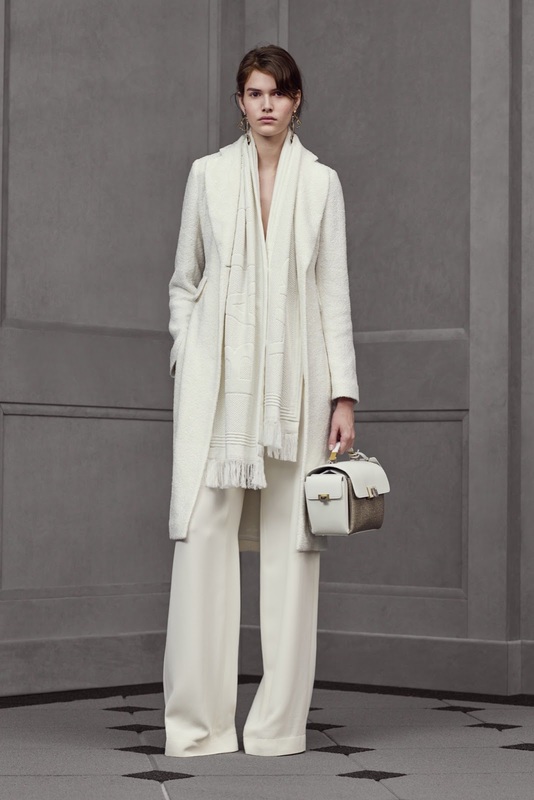 I always look forward to Balenciaga collections because they always have a different twist… whether its subtle or big. It's somewhat exciting, and thats exactly why we anticipate the collections so much. I have never been a fan of peplum designs as I just have never got on with them personally. 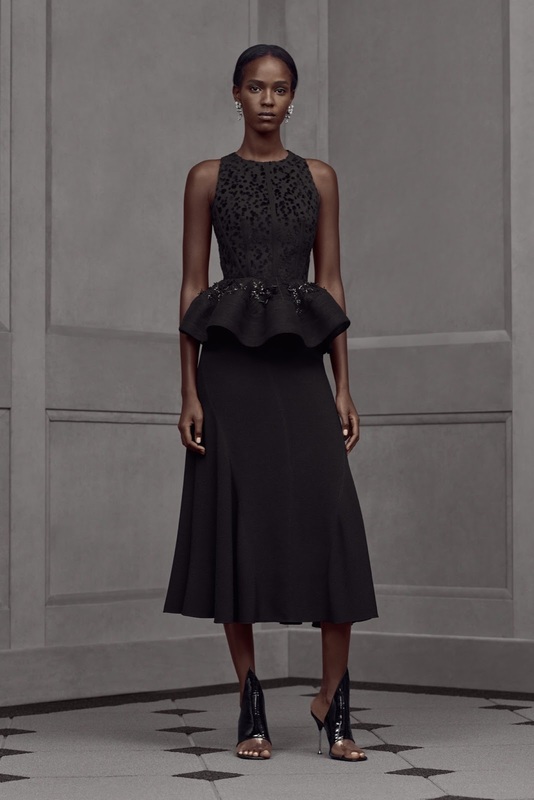 However, this collection incorporated a few peplum designs that have reeled me in to loving them again - well, on these models! haha. The collection was so flawless, delicate and precious. It was as if every stitch was sewn with care, and you can easily see this on the clothes just by the image. That's what makes you feel so good in clothes - the quality. From beachwear to coats, Balenciaga had it all this resort collection. You can see, however, that Wang had definitely kept couture in mind throughout the creation of this collection. From beautiful cut out, ruffled-at-the-bottom dresses - to shapeless playsuits. Wang has captured all styles with this collection … and thats what I love.